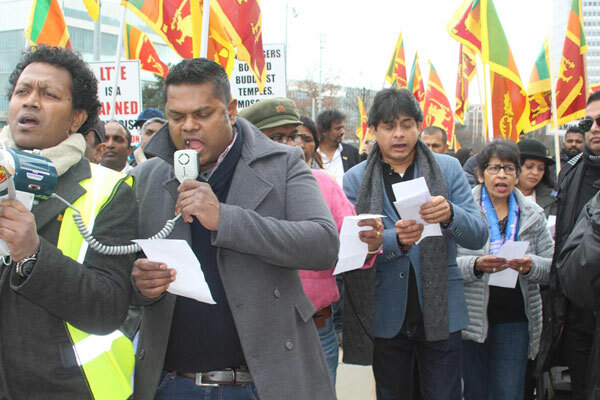 With the participation of a large number of Sri Lankans living overseas, a protest organised by the Global Sri Lankans Forum (GSLF) was held outside the United Nations Office in Geneva, Switzerland on Sunday against the UN Human Rights Council's maltreatment of Sri Lanka. France, Monaco, Sweden and Switzerland took part in the demonstration while retired Rear-Admiral Sarath Weerasekara, Dr. Nalaka Godahewa and Anuradha Yahampath, who were in Geneva also attended the protest. 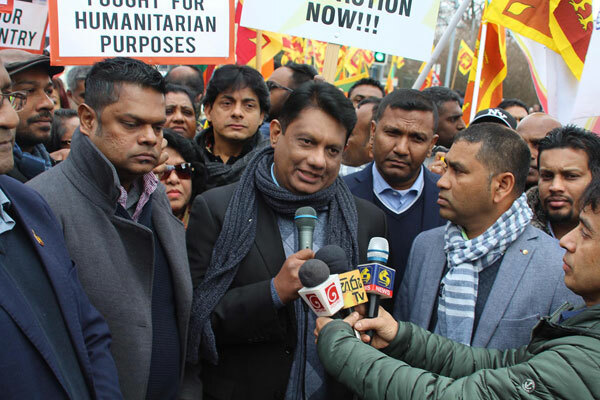 Dr. Godahewa addressing the protesters said the Sri Lankan Government had committed a grave offense by co-sponsoring the 2015 US resolution without studying its contents. "Because the Sri Lankan government has co-sponsored the resolution, even Russia and China who have veto power will hesitate to support us if a proposal was made to the UN Defence Council to impose sanctions on Sri Lanka. The GSLF has taken up the responsibility to show the world that the majority of Sri Lankans reject the UN resolution on Sri Lanka, though it was endorsed by the government," he said.